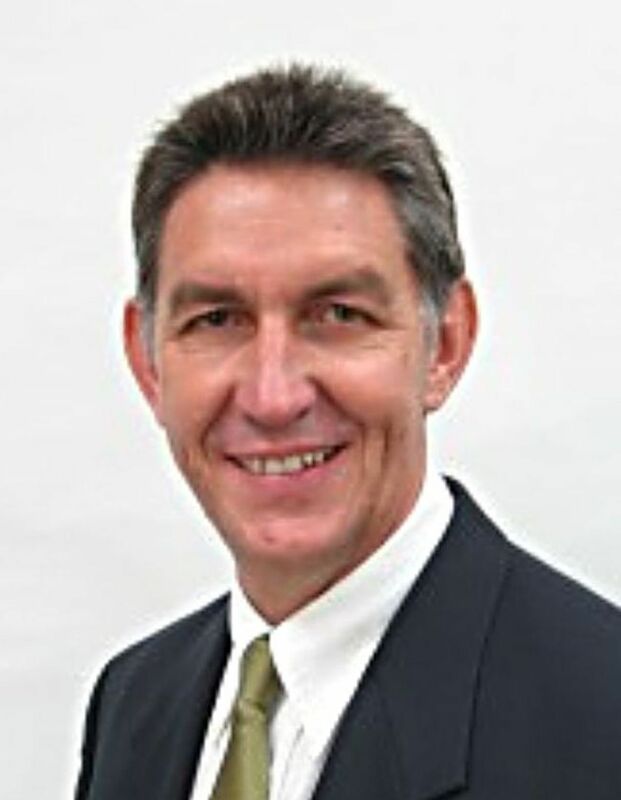 Pastor Peter Earle wrote as the Principal of the Brisbane Christian Outreach Centre School of Ministries and Associate Pastor of the church. through personal life, prayer, conversation and example. who will in turn reproduce others to do the same. Mentoring has been common in society. On the farm, boys and girls were mentored by their parents or by extended family members. Fathers taught their sons the skills of farming. Mothers taught their daughters how to keep the home and the finer points of being a wife and mother. Apprentices were mentored at the side of craftsmen for a number of years while they learned the skills of the trade. In early universities students learned in the home of the scholar. Mentoring also occurred in the church. Early Monastic practice had a spiritual director whose task it was to help discern the will of God for the trainee monk’s life. The focus of the relationship was not so much on teaching as on prayer. Eighteenth century New England pastor Jonathan Edwards, and his wife Sarah, usually had one or more ‘disciples’ living in their home. This gave ample time for the learner to observe the quality of a marriage, personal spiritual dynamics, and the vigorous pursuit of pastoral activity. The present interest in mentoring highlights the impersonal attitudes and individualism that can be seen in society. Much of today’s spiritual and theological training is done in classes. Many apprenticeships have become more class-orientated rather than one‑on‑one traineeship. Classes require less personal and relational contact. They make fewer demands on the lecturer than does mentoring. Mentoring is an endeavour to bring back a personal touch in an impersonal, individualistic and spectator society. The Bible demonstrates a number of mentoring situations. Moses and Joshua, Elijah and Elisha, Naomi and Ruth, Elizabeth and Mary, Barnabas and Paul, Paul and Timothy, Pricilla, Aquila and Apollos, and of course, Jesus and His disciples. The word mentoring does not occur in the Bible but the concept of mentoring does. This concept is best described by the term discipleship. The Greek term for discipleship, mathetes (found in the Bible 262 times) is most frequently used to designate one of Jesus followers. Discipleship is a central theme of both the Gospels and Acts. The term disciple is scarce in the Old Testament and the word mathetes does not occur in the Epistles and Revelation. However, there is abundant theological expression of the concept of discipleship everywhere in Scripture. The roots of biblical discipleship are found in the concept of God’s calling, as in the recurrent promise ‘I will be your God and you shall be my people’. The ideal form of discipleship for Israel was the nation in covenantal relationship with God. The nation was called to a relationship in which God was with His people. This Old Testament theme finds its explicit fulfillment in Jesus with His people. Jesus was Emmanuel, ‘God with us’. Although discipleship was a voluntary initiative, as with other types of master/disciple relationships in the first century, with Jesus discipleship lay with his call, and his choice of those who would be his disciples. This call demanded a response, an obedience to his call, and the counting of the cost of following him. Disciples of Jesus were to follow, but unlike other disciples of their day Christ’s disciples were to remain followers of Him all their life. Love and servanthood towards others. Good stewardship of God’s kingdom and his gifts. Jesus’ primary focus in teaching his disciples was not to help them master the skills often associated with the making of leaders and leadership such as setting goals, formulating strategies, and evaluating the results.Jesus gave them an example of how they were to relate to God, and the type of people they had to be. He showed His disciples how to follow, how to obey, how to respond to authority and to the call of God. He set them ministry tasks allowing them to fail, and correcting them where necessary. Jesus’ ministry and mentoring demonstrated that the disciples must first learn to be faithful followers before they could be leaders. He taught them attitudes of humility, self‑sacrifice, and servanthood. He knew what the destructive attitudes of pride and ambition could do among the community of disciples. He taught them to love one another and serve one another rather than be over one another in authority. He encouraged them to continually abide in the vine in order to gain fruit, and that when he left another Comforter would come and be a mentor of the same kind. Jesus ordained his disciples to be with him. His mentoring was with prayer, example, word, deed and touch. The Book of Acts is a great testimony to the effectiveness of his mentoring. Confusion over discipleship in the church.In evangelical circles today discipleship is often confused with the development of younger Christians, as in discipleship classes or courses. This is not a clear biblical position. The word disciple is a common word for every believer in Acts. A disciple can be a mature believer or a younger Christian. A believer is always a follower of the Lord. He remains a disciple even though he might hold an office as an apostle or pastor. Mentoring and discipling should be considered synonymous terms. There is no better example in the Bible of this than Christ. He did not have classes with exams at the end to test the students like many teachers today. He spent time with His disciples, lived and traveled with them. He prayed with them. He loved them and warned them of impending dangers. He taught them, imparting his own life to them. He was the way, the truth and the life, to his followers. He was the good shepherd who was training his disciples to follow him and do likewise. He showed them what a true shepherd was so that they would be able to shepherd others. It involved both relationship and discipline. The heart of Jesus’ discipleship was relationship yet He disciplined His disciples. Mentoring will become weak without discipline or relationship. Both are needed. Drawing distinctions between discipleship and mentoring creates confusion and unbiblical mentoring. For mentoring to be successful it must be kept to its biblical foundation of discipleship. Discipleship should be predominately Christ-likeness, love, servanthood, stewardship, the development of the individual, and the fulfilling of the great commission. Mentoring DynamicsThe key to mentoring is the relational process. Christ called His disciples to relationship with himself. As mentors we must not only draw people into relationship with Christ but also into relationship with each other. Trust and love must be central to this mutual relationship not the authority of one over another. No better example of the problems that can ruin mentoring can be given than the ‘discipleship movement’. In the 1980’s a discipleship movement formed in the charismatic church. Its heart was to mentor people in their spiritual growth. After much hurt and great controversy the movement was disbanded in the late 1980’s with public apologies being made by many of the leaders. This movement demonstrated the excesses and dangers that can potentially happen in mentoring by sincere leaders. The discipleship movement had a strong emphasis on spiritual authority. Much of its biblical basis was taken from Watchmen Nee’s book of the same name. It was this excess of authority that caused much of the hurt in what was a sincere movement. Had they based their emphasis on building better relationships with love and trust, rather than spiritual authority, and obedience to those in authority the movement would still be in existence. They would have avoided much of the hurt they caused. Relationship is to be at the core of mentoring, not control. These distinctions will help avoid the excesses of the discipleship movement of the 1980’s. Stanley and Clinton also believe that mentoring is a relational experience between two people with varying degrees of involvement and intensity. They believe mentoring is able to be organized into three categories and placed on a continuum ranging from being more deliberate (with more depth and awareness of effort), to less deliberate involvement. Passive: Contemporary models and historical heroes. Since mentoring is a relational and empowering experience not all people will qualify for intensive mentoring. Factors such as time, proximity, needs, shared values, and goals will affect the relationship. However everybody can be passively mentored through the biographies and autobiographies of contemporary and historical people (e.g. David Yonggi Cho, Oral Roberts, Billy Graham, John Wesley, William Carey, Jonathon Goforth and others). In passive mentoring the mentoree has control in the mentoring process. They choose the mentor and can learn from their life at will. The draw back is that there is no real relational process. They can learn and be inspired but they miss out on the personal process, the prayer, love, care and specific encouragement and direction. The more active the mentoring process the greater the relational dynamic. Attraction: This is a necessary starting point in relationship. The mentoree is drawn to the mentor for various reasons: perspective, certain skills, experience, values and commitments modelled, perceived wisdom, position, character, knowledge, and influence. The mentor is attracted to the mentoree’s attitude, potential, and opportunity for influence. Responsiveness: The mentoree must be ready and willing to learn from the mentor. Attitude is crucial for the mentoree. A responsive, receptive spirit on the part of the mentoree, and attractiveness on the part of the mentor, directly speed up and enhance the empowerment. Accountability: Mutual responsibility for one another in the mentoring process ensures progress and closure. Intensive mentoring builds upon these three dynamics. Attractiveness is the spark that ignites the relational process. It provides the desire, which initiates and fuels that relationship. Not every mentor needs to be a super-star to attract mentorees. A genuine concern for others, sincerely valuing the mentoree, and a desire to develop the other’s potential, are qualities that many crave for in today’s world. However no matter how attractive and great the mentor is, it will be of no avail unless the mentoree responds.Response is the glue that provides the cohesion for the relationship to continue. Even though mentoring relationships continue there is still no guarantee of successful outcomes. It is only when goals are mutually set and both parties are held accountable to their individual goals there can be any achievement of a hopeful outcome. These goals will need to be continually evaluated and adjusted to ensure maximum progress and closure. Personal Growth: this focuses on the development of the leader’s character. Conceptual Understanding: these programs highlight the difference between management and leadership and include skill-building procedures. Feedback: this approach assumes that those who want to be leaders already possess certain skills. The program helps participants to identify strengths to build on and weakness that need attention. Skill building: this emphasis believes that leadership can be broken into a set of behaviours that can be learned. Congor’s conclusion is that an effective leadership training approach must incorporate core elements of all these four approaches. He contends that each of these elements builds upon the others creating a synergistic outcome. He also sees the primary value of these programs as awareness building, and affirming that ultimately developing leadership depends upon the gifts and desire of the individual and the receptivity of the leader’s organisation. Congor also advocates realism. Even if a leader changes for the better, that transformation may threaten superiors and followers who want stability. These organizational principles apply to churches. However, many churches and organisations are simply not prepared for leadership. Often conformity is more important to them than changing their vision and risk‑taking. All of these approaches identified by Congor apply also to mentoring. The first is Personal Development. It is in this area that mentoring is unequalled. Mentoring by its nature is very personal. The mentor can address very specific and personal issues in the mentoree’s life. These issues can encompass every area of their life (marriage, family, vocation, social, spiritual and ministry life). The mentor should be concerned with developing Christlike attitudes and habits in the mentoree. Character is foundational and no one can escape it. The higher one rises in leadership the more stress one receives. Mentoring is therefore needed at all levels of leadership.The second approach is Conceptual Understanding. Everybody wants to be led but few want to be managed. This creates tension as most people tend to be either task oriented or people oriented. By natural preference they gravitate to task or people and so they tend to be better at management or leadership but both areas must be developed. One can not be an effective leader without acquiring the skills of each. Mentors must understand these principles themselves or they will not be able to develop the person adequately. The third approach to leadership is Feedback. Since feedback assumes that everybody already possesses certain skills and gifts. Mentors must spend time with the mentorees in order to evaluate, recognise and develop their skills. Feedback also helps the mentoree gain a proper perspective on issues. The mentor can encourage his protege to be a risk taker and so avoid falling into the rut of conformity, or they can help the mentoree understand and manage threatened superiors and followers. All these are issues that often require an outside perspective. The last approach is Skill Building. Skills are personal and can be developed quicker in a mentoring situation than in a class. The mentor must take on the role of a coach who provides motivation, skill building, and who teaches the application of these skills in order to meet a task or a challenge. No other training system can provide better skill building than mentoring. The Mentoring ProcessMentoring is an empowering process that is not without difficulties. Not everyone will be a good mentor, or mentoree, but realistic goals will help to avoid many disappointments. Commitment is important to the process and builds a climate of trust. This commitment is not only to each other, but also to the lifting of the mentoree to a higher level. If both parties work at Godly relationships and avoid hidden agendas then growth is inevitable. The stronger the relationship the greater the empowerment. Listening is a must as it is in any relationship. When relationships are truly established then mentorees are open to sharing all of their heart, the good and the bad. This is a powerful climate for growth. Some mentoring situations will be more effective than others, but all can gain if these suggestions are implemented. Mentoring needs to be biblically based. It is to be founded upon God’s call to be his people, true disciples. Mentoring is the empowering of one person by another through their personal life, prayer, conversation and example. It is the making of disciples to go into the entire world who will in turn reproduce others to do the same. Mentoring can take deliberate to less deliberate forms. Relationship is at its heart. Attraction, responsiveness, and accountability are important to the working of that relationship. Effective mentoring must take the person out of the classroom and provide that person with growth in Christ-likeness, real‑life situational training, understanding, skill building, and feedback. From ancient days to present times mentoring has proved invaluable and essential in the training of people. Let us continue to foster a climate for its renewal and development. Bennett, D.W. Metaphors of Ministry. Carlisle: Paternoster, 1993. Clinton, R.J. & Stanley, P. D. Connecting. Colorado Springs: Navpress. 1993.Congor, J. A. Learning to Lead. Cited in Barna G. (ed.) Leaders on Leadership. Ventura: Regal. 1997Engstrom, Ted W. The Fine Art of Mentoring. Tennessee: Wolgermuth & Hyatt. 1989. Wilkins, M. J. ‘Disciple, Discipleship’ cited in Walter E. Elwell (ed). Evangelical Dictionary of Biblical Theology. Grand Rapids: Baker. 1996. I write this to you, Timothy, the son I love so much. All the best from our God and Christ be yours! Every time I say your name in prayer – which is practically all the time – I thank God for you, the God I worship with my whole life in the tradition of my ancestors. I miss you a lot, especially when I remember that last tearful goodbye, and I look forward to a joy-packed reunion. That precious memory triggers another: your honest faith – and what a rich faith it is, handed down from your grandmother Lois to your mother Eunice, and now to you! And the special gift of ministry you received when I laid hands on you and prayed – keep that ablaze! God doesn’t want us to be shy with his gifts, but bold and loving and sensible. So don’t be embarrassed to speak up for our Master or for me, his prisoner. Take your share of suffering for the Message along with the rest of us. We can only keep on going, after all, by the power of God, who first saved us and then called us to this holy work. We had nothing to do with it. It was all his idea, a gift prepared for us in Jesus long before we knew anything about it. But we know it now. Since the appearance of our Saviour, nothing could be plainer: death defeated, life vindicated in a steady blaze of light, all through the work of Jesus. This is the Message I’ve been set apart to proclaim as preacher, emissary, and teacher. It’s also the cause of all this trouble I’m in. But I have no regrets. I couldn’t be more sure of my ground – the One I’ve trusted in can take care of what he’s trusted me to do right to the end. I’m sure you know by now that everyone in the province of Asia deserted me, even Phygelus and Hermogenes. But God bless Onesiphorus and his family! Many’s the time I’ve been refreshed in that house. And he wasn’t embarrassed a bit that I was in jail. The first thing he did when he got to Rome was look me up. May God on the Last Day treat him as well as he treated me. And then there was all the help he provided in Ephesus – but you know that better than I. So, my son, throw yourself into this work for Christ. Pass on what you heard from me – the whole congregation saying Amen! – to reliable leaders who are competent to teach others. When the going gets tough, take it on the chin with the rest of us, the way Jesus did. A soldier on duty doesn’t get caught up in making deals in the market place. He concentrates on carrying out orders. An athlete who refuses to play by the rules will never get anywhere. It’s the diligent farmer who gets the produce. Think it over. God will make it all plain. You’ve been a good apprentice to me, a part of my teaching, my manner of life, direction, faith, steadiness, love, patience, troubles, sufferings – suffering along with me in all the grief I had to put up with in Antioch, Iconium, and Lystra. And you also well know that God rescued me! Anyone who wants to live all out for Christ is in for a lot of trouble; there’s no getting around it. Unscrupulous con men will continue to exploit the faith. They’re as deceived as the people they lead astray. As long as they are out there, things can only get worse. But don’t let it faze you. Stick with what you learned and believed, sure of the integrity of your teachers -– why, you took in the sacred Scriptures with your mother’s milk! There’s nothing like the written Word of God for showing you the way to salvation through faith in Christ Jesus. Eugene Peterson, The Message. Navpress, 1994, pages 527-530, from 2 Timothy. Used with permission.